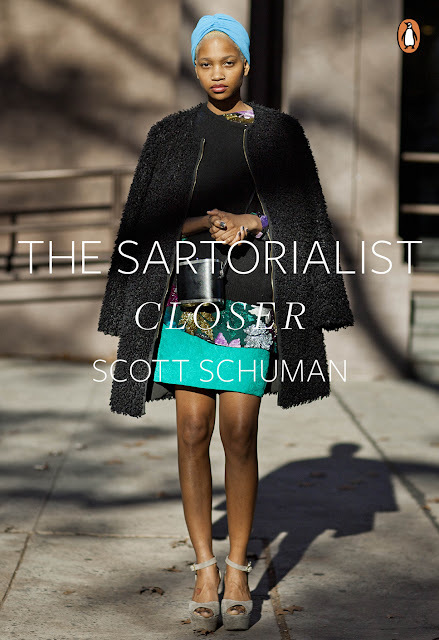 Who would have thought that Scott Schuman, the man behind street style photo-blog The Sartorialist, would say anything worthy of mention on a budget fashion blog?! It's especially ironic considering that Schuman's photo subjects are often dressed head-to-toe in full-priced (gasp) designer clothing... if it isn't painstakingly obvious, paying full price (or a high price) for anything is not Bon Vivant and a Budget approved... in fact, it's almost a cardinal sin on this blog! "It's pretty funny that we buy pre-washed, pre-ripped, pre-faded clothes. 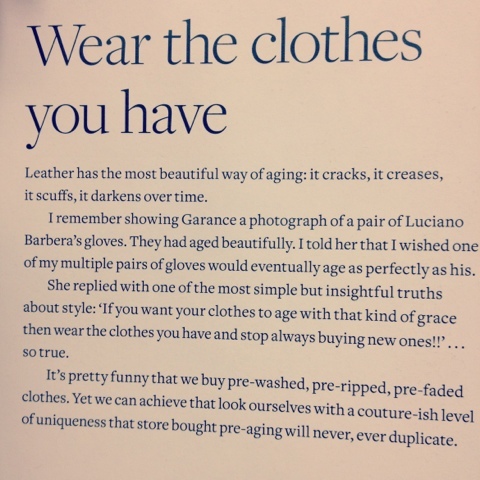 Yet we can achieve that look ourselves with a couture-ish level of uniqueness that store bought pre-aging will never, ever duplicate." Immediately I thought of my Nigerian immigrant father. When he was alive, he would chide me for wearing clothing with intentional rips, holes and fraying. Dad found it nonsensical (and sometimes comical) that I was willing to drop cold, hard cash on new clothes that appeared distressed and worn out. In fact, he considered it a privilege of the West. Somewhere along the way my dad's ethos must have rubbed off on me... These days I don't find myself buying mass produced "beat up" clothing much. Instead I look for quality pieces with sound construction, craftsmanship and materials that I can wear in beautifully myself. That said, let's attempt to consciously shop our closets and wear what we already own more often. If you don't wear it, donate it to charity, swap it or sell it to Buffalo Exchange (Beacon's Closet or any other store of the sort). My favorite worn-in piece is a shrunken Levis denim jacket (worn here) that I have owned for half a decade and wear nearly everyday in Spring and Fall. What is yours? Leave your comments below. Love the headline! I should totally shop my closet more often. My favorite piece is a thin light brown leather jacket that I will never give away!